After 112 years Leyton Orient Football Club went out of the league on Saturday following another crashing defeat. This time a 3-1 defeat at the hands of Blackpool who with this win in the final match of the the 46 of the campaign held onto 7th place and guaranteed a play off place where they will play 4th placed Luton in the semi finals. The final goal difference for the season said it all, Blackpool +23, Orient -40. Yet again it could have been a bigger margin than 3-1 but now it doesn’t matter, it’s all consigned to the history books, what Orient have to do now is survive as a club in whatever division they play in. This was the 30th defeat of the season in an emotionally charged Bloomfield Road. The day was dominated by protests from both sets of fans and both Orient and Blackpool fans marched together before kick-off to demonstrate against both club owners. Orient took a respectable 951 fans to Blackpool although the only Blackpool rock to be found for the visitors was at the seaside and not in the Orient defence. 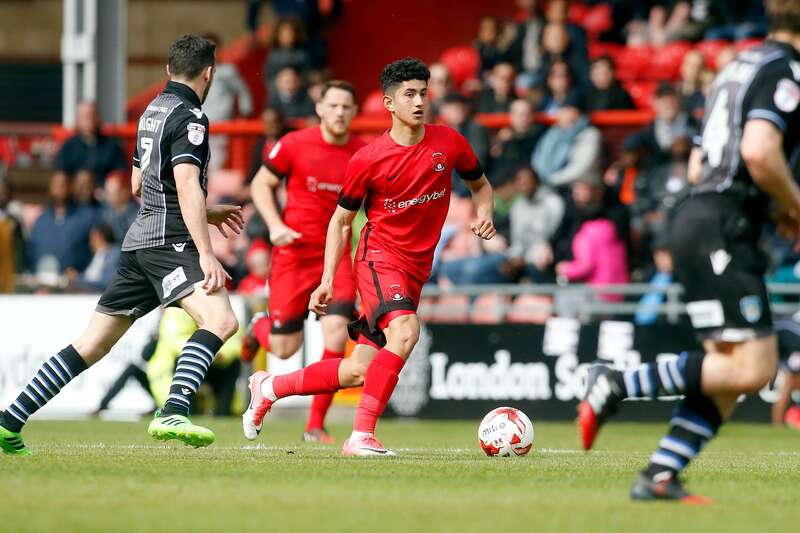 Omer Riza hailed the Leyton Orient supporters after an emotional final day of the League Two season. Although the O’s lost 3-1 at Bloomfield Road, Jens Janse did score a consolation in the second half and it may well be their last league goal for quite a while.Blackpool deserved their victory, but the away supporters never stopped singing and backed the team throughout. Earlier this week, the EFL suspended ticket sales to Orient supporters for the final game of the season. Luckily sense prevailed and the issue was quickly amended and O’s took a large following up to Blackpool and made their presence felt. The fans made the most of the occasion in Blackpool by singing from the off until the full time whistle. Omer Riza’s team struggled against the Tangerines throughout and the goal for the O’s was a rare wandering into Blackpool territory. Orient’s fate had been decided a while ago and knew that getting rid of key players over the season and not replacing them was always a bad move to disappearing from the league. 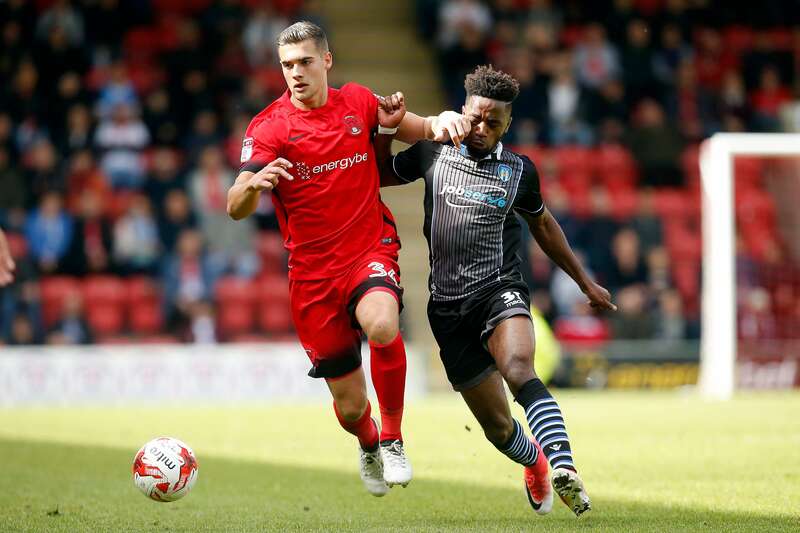 With the season now over, the focus can turn to the future and what will happen at Orient over the summer. Riza again reiterated his desire to stay at the club and called for some communication from above. Blackpool booked their play-off date with Luton and made all the early running and got their reward after 11 minutes when Jack Payne’s cross from the right was nodded into the far corner by Neil Danns from eight yards.The Seasiders lead was doubled after 36 minutes by Mark Cullen, the forward picking up the ball from Payne and driving to the edge of the area, where he launched a low right-footed shot which found the bottom right-hand corner.Totally against the run of play, Orient pulled one back after 50 minutes. Their fans were busy ironically celebrating a previous shot on target when Blackpool’s Andy Taylor was caught in possession by defender Jens Janse who then calmly slotted through Sam Slocombe’s legs. Brad Potts wasted a glorious opportunity for Blackpool, blasting over from six yards when he should have seen a bulging net. Instead air traffic control in the Liverpool region were alerted to a ball disappearing in a diagonal line somewhere over Southport.The hosts adding a third though through Taylor. Blackpool’s captain drilled into the corner from inside the area to virtually secure the three points.Orient’s young guns pushed for another way back into the match with Steven Alzate doing his best, but just being unable to fashion an opening. The O’s fans were singing loud and proud during the final exchanges and were applauded by the home supporters who were magnificent and when referee David Webb brought the game to an end every Orient player and member of staff applauded the away support in touching scenes at Bloomfield Road. Kennedy and Pollock were among the O’s fans to give away their shirts while various others embraced the Brisbane Road faithful. Blackpool were fantastic in their hospitality, the Orient players and staff gave everything but the curtain has come down on a long season. Leyton Orient will be back but fingers crossed with a new Chairman and owner.